While the majority of travelers head straight for Machu Picchu in southern Peru, the North remains a hidden gem for those willing to venture off-the-beaten-path. You'll have amazing ruins to yourself, discover unique landscapes, and learn about ancient cultures that pre-date the Inca civilization. Peru is an immense country, yet most travelers spend the majority of their time in and around the region of Machu Picchu in the south. The many pre-Incan civilizations that thrived in the North are less known. The Peruvian government has only started to document (with international support) these cultures in the past 20 to 30 years. Beautiful and diverse landscapes: Similar to southern Peru, you'll find a dramatic change in landscape as you travel from the coastal desert to the northern Andes to the jungle regions of northeastern Peru, bordering Brazil. Countless endemic bird species also have their habitat in the northern regions, such as the famous Spatuletail Hummingbird in the region of Amazonas. Incredible pre-Incan archaeology: The include the adobe city of Chan Chan or the citadel of Kuelap, Chavin de Huantar close to Huaraz and many others. 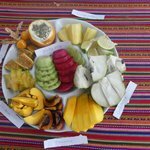 Abundant nature in the cloud forest: in the Andes and in the jungle around Tarapoto or Iquitos, ideal for treks and hiking, exploring lakes or waterfalls. 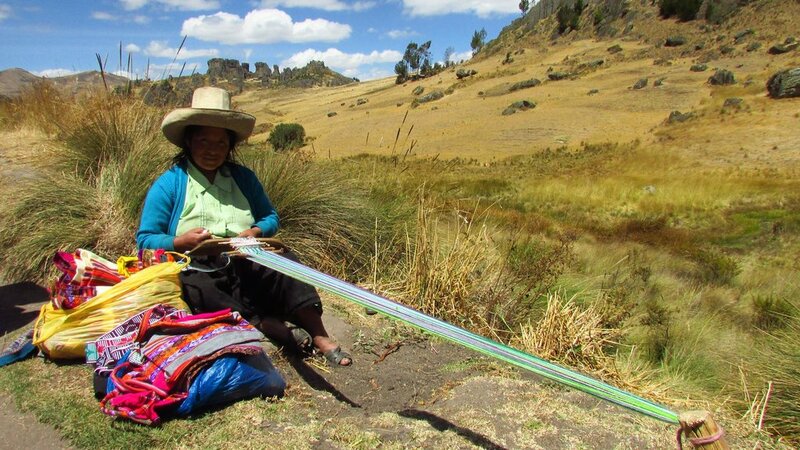 A local woman weaves clothing near the pre-Inca site of Cumbe Mayo. It's a little more difficult to explore northern Peru as the roads are not as well-developed as in the South. You'll definitely want to have time to move around between places — better not to hurry and miss out on unbelievable encounters with local people. If you're short on time or looking to combine your time in the north with Machu Picchu and a tour of the south, there are still a number of great options. You can add a four-day trip to the North coast of Peru with its archaeological sites, or spend four days exploring the Amazon with the citadel of Kuelap and the waterfall of Gocta. 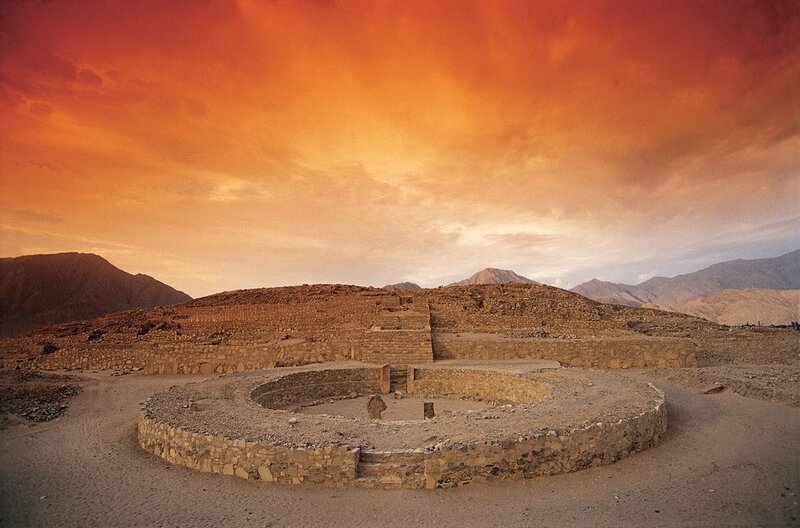 The Unesco world heritage site of Caral, built 4600 years ago, one of the oldest cities in the Americas. 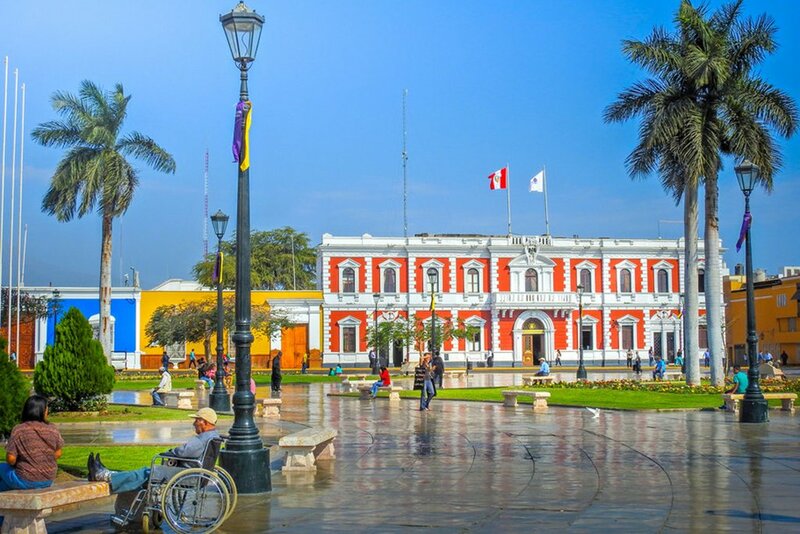 Locals relax in downtown Trujillo, a coastal city in northern Peru, and the second=largest urban area of the country. 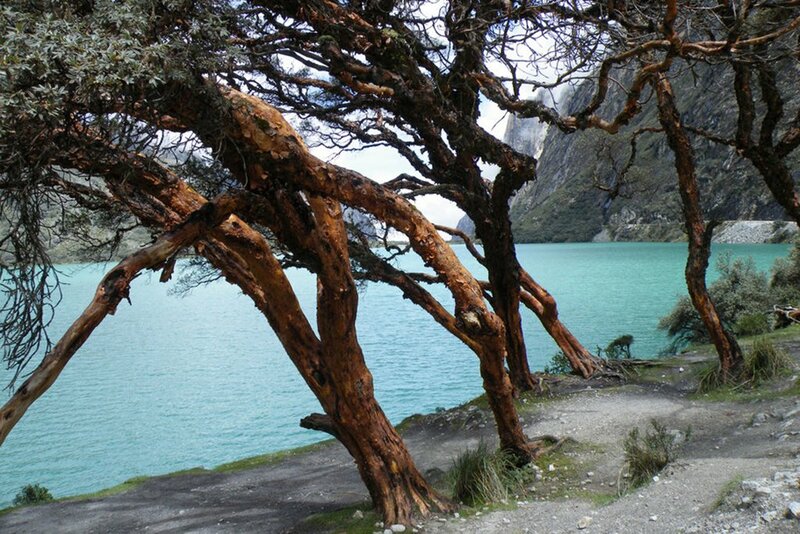 Northern Peru generally has the same seasons as southern Peru, where you'll encounter different seasons and weather patterns whether you're visiting the coast, the Andes, or the Amazon. 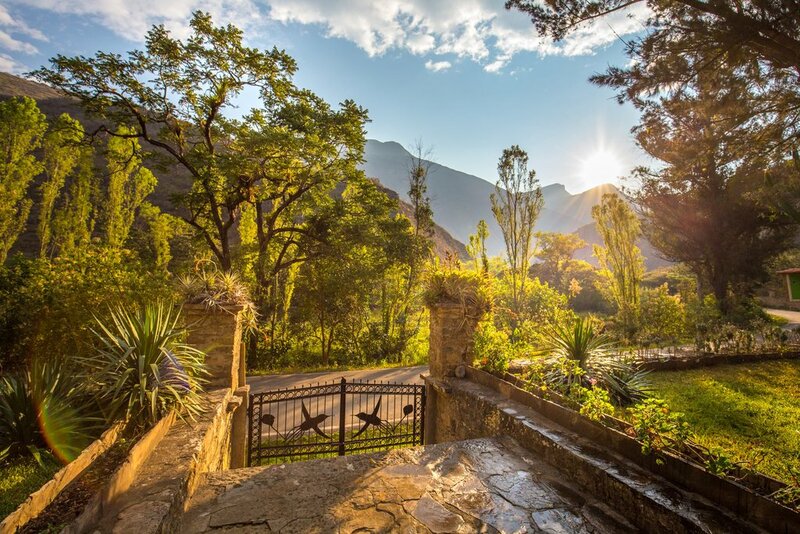 The rainy season in the Andes is from November to April, and the dry season runs from May to October. The dry season means hot during the day (never forget your hat, your sunscreen and mosquito repellent) and cool nights. The rainy season is ideal time to discover incredible waterfalls that will impress you by their strength. Here you will nearly always have great weather. During Peruvian summer time (December, January) it can be really hot, but otherwise, the weather should be mild, warm and sunny. The Peruvian Amazonia around Tarapoto and Iquitos has rainy periods throughout the whole year, but this should not stop you from traveling to these regions. There are a few very good bus companies that serve the North, such as Cruz del Sur or Movil Tours. Often they drive at night, which is actually a good thing to gain some time in your itinerary. These companies are safe, even if you travel by night. Otherwise, you have also flights to the main cities in the North, such as Trujillo and Chiclayo (on the coast) or Jaen to reach out to the region of Amazonas, or finally Tarapoto in the Peruvian Amazonia. To visit the northern coast, you can either take a flight into Trujillo and then visit the sites around Trujillo before taking a combi to Chiclayo to continue your archaeology immersion there. For the more adventurous (or if you prefer to take a private driver), take the time to discover the site of Caral on the road between Lima and Trujillo. There is also the option of passing in Huaraz for a few days of trekking in the Cordillera Blanca and visit the archaeological site of Chavin de Huantar, before continuing towards Trujillo. If you have time, you now can continue your trip from Chiclayo to Chachapoyas by night bus, where you can then base yourself for a few days as you explore the nearby sites. 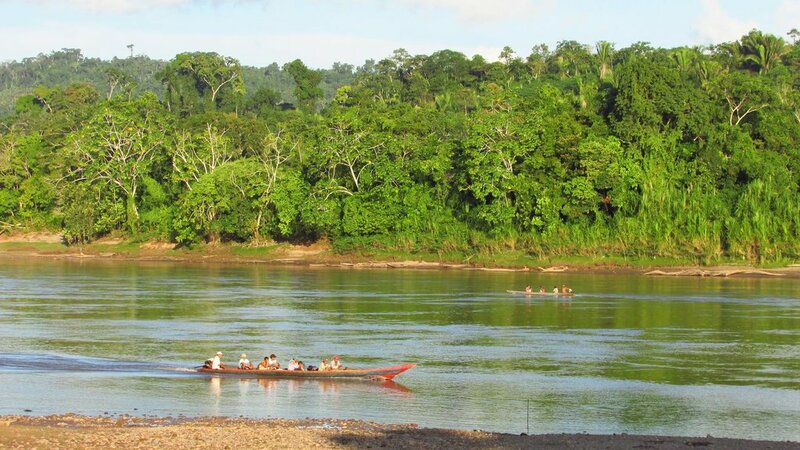 Continue towards Tarapoto and discover the jungle part of northern Peru (and take a flight back to Lima). Between Chachapoyas and Tarapoto there are also small airplanes (9-seaters) flying on a daily basis. However, be aware that you are only allowed 10 kg. of luggage. This will give you a complete round-trip of Northern Peru. You can also complete the circuit the other way round, starting in either Cajamarca or Tarapoto.